If you are concerned about the quality of the water used at your business or residence, then purchasing one of the several types of UV water sanitizers may be what you need. This system will help eliminate water-born mold and germs from your water system that may otherwise be missed at your local filtration plant. Well water: Water from private wells can contain harmful pathogens, which are not only dangerous to humans, but animals as well. Livestock producers often install UV light sanitation systems to protect their animals from the poor water quality. Surface water: In rural communities, many families and businesses draw their water from streams, lakes or rivers. These are highly contaminated from the animals that use and live in the water, as well as from storm run-off. A UV water system will help lower the amount of contaminated water ingested by residents and animals. 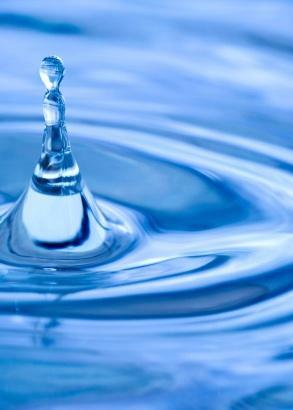 Public water supplies: Concerns about high levels of chlorine in the public water supplies have prompted residents to protect the water that is used in their homes. Commercial water: Because businesses such as restaurants, campgrounds and hotels are required to provide suitable water for their guests, many already have UV water sanitizers in place. Process water for industry: Since laboratories require their water to be of extremely high quality, they have taken advantage of having these systems on site. Unfortunately, limited data is available that outlines the possible byproducts or side affects of UV disinfection.